Manufacturer of a wide range of products which include construction concrete mixer, concrete mixer machine, concrete mixer machine - engine with hopper, concrete mixer with engine type, cement concrete mixer and sand screening machine. Manufacturing and supplying of supreme quality Construction Concrete Mixer has helped us achieve a very high level of trust in the market. It is high on performance, low on complicated usage and extremely affordable on the monetary quotient. It has been constructed under a team of dexterous professionals who do not believe in compromising on the product quality. These machines are used for mixing of cement, water and sand to produce perfectly blended concrete. This offered mixer can be operated via two options, electric motor and diesel engine. Innovation is our forte and manufacturing along with supplying of Concrete Mixer Machine from our side is a strong example of the same. It has emerged as a winner in the market as it is extremely decent on the pocket and is made up of the finest of the raw materials. The drum rotation is very frequent and hassle free. 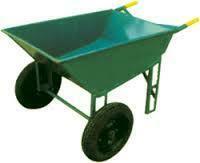 Caster wheels provide the mixer with the feature of portability. These offered mixers are developed from top grade components and innovative technology in compliance with the defined industry standards. 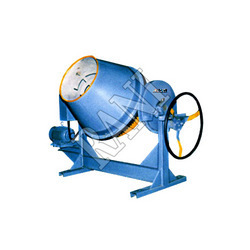 These mixers are offered in various capacity to meet the client requirements. 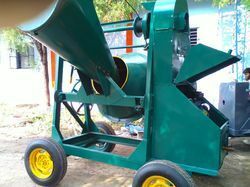 nnovation is our forte and manufacturing along with supplying of Concrete Mixer Machine Engine with Hopper from our side is a strong example of the same. It has emerged as a winner in the market as it is extremely decent on the pocket and is made up of the finest of the raw materials. The drum rotation is very frequent and hassle free. Caster wheels provide the mixer with the feature of portability. These offered mixers are developed from top grade components and innovative technology in compliance with the defined industry standards. These mixers are offered in various capacity to meet the client requirements. Manufacturing and supplying of supreme quality Concrete Mixer with Engine Type has helped us achieve a very high level of trust in the market. It is high on performance, low on complicated usage and extremely affordable on the monetary quotient. It has been constructed under a team of dexterous professionals who do not believe in compromising on the product quality. 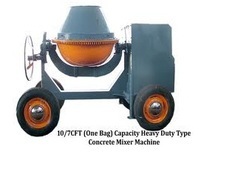 These machines are used for mixing of cement, water and sand to produce perfectly blended concrete. This offered mixer can be operated via two options, electric motor and diesel engine. Our company has earned great laurels as manufacturers and suppliers of Cement Concrete Mixers in the market at the present scenario. We completely understand that no construction process is possible without a caliber concrete mixer. The product is used is all construction applications and is widely acknowledged for its attributes of uniform and fast mixing, less power consumption, and long service life. We also provide the product in customized options, as per our clients’ specific requirements. 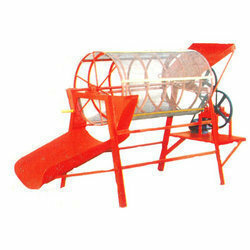 Furthermore, this machine is made available to our clients at extremely reasonable rates. We have achieved paramount success in manufacturing and supplying of Sand Screening Machine in the market at the present scenario. It is used to manufacture tiles by pouring the slump concrete into rubber moulds. Firstly, the concrete mixer is condensed using vibro forming tables, and then, these moulds, with wet concrete, are kept over flat plate in order to gain initial strengthening. The wet tiles are further exposed to the controlled atmosphere for providing hardness to the products. Later, polyurethane or varnish coating is applied on the tiles to ensure their wear resistance, and to beautify them.